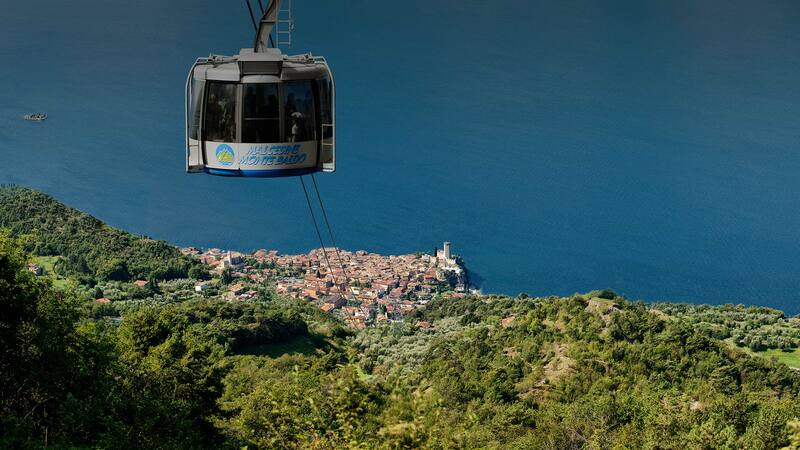 The Municipality of Malcesine counts 3800 inhabitants. 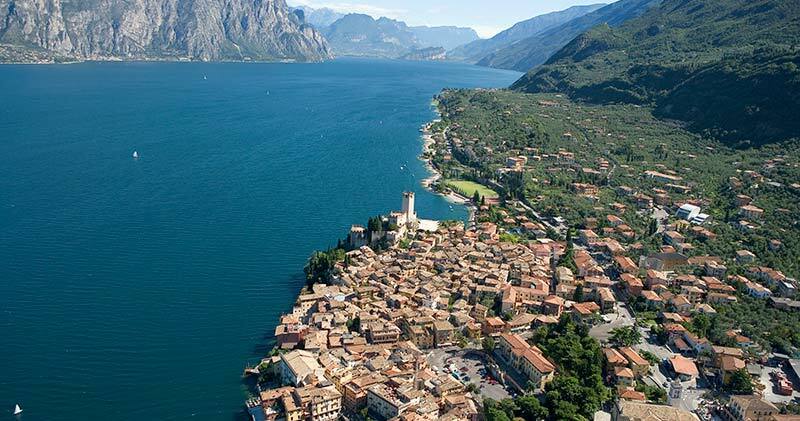 It is situated on the eastern shore of Lake Garda and is the most Northern town of the Province of Verona, at the border with Trentino. 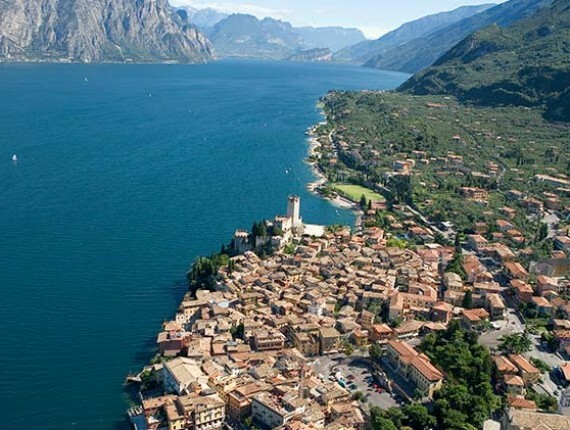 Malcesine has the Italian Touring Club orange flag, a seal for touristic and environmental quality and acknowledgement for an excellent offer and qualified welcoming. For the assignment and maintenance of this seal Touring examins the following areas: welcoming, accomodation and complementary services, tourist attractions, environmental quality, resort structure and quality. 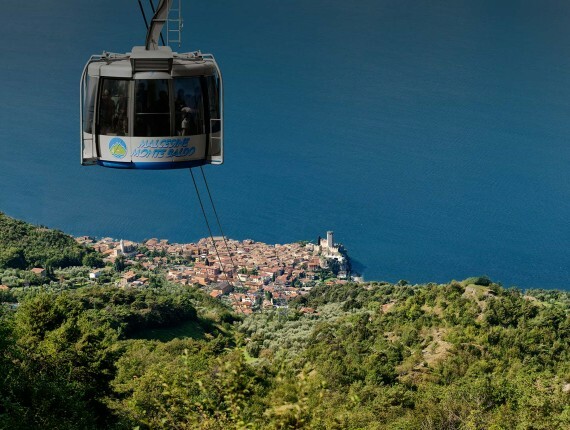 The history of Malcesine revolves around the Scaligero castle (very well preserved and site of the museums of natural sciences, Venetian galleys and a room dedicated to the stay of J.W. Goethe at Malcesine) and the Palazzo dei Capitani del Lago della Serenissima Repubblica di Venezia. These two historic buildings, still full of life, host theatre performances, music concerts, art exhibitions, and more than 300 marriages are celebrated every year, mostly by English couples conquered by the magic of the castle, the light and the colours. Malcesine is the most picturesque of all locations around the lake, different from all the others, with its overwhelming rocky promontory emerging from the waters and dominated by the towering castle that keeps watching the old town below with medieval origin, with its picturesque, cobbled alleys and small squares, doors and vaults, small and multicolored stores, pubs, studios, restaurants, taverns, old houses leaning one on each other, stone walls, patios and gardens, picturesque corners and vivacious atmospheres plenty of tourists. 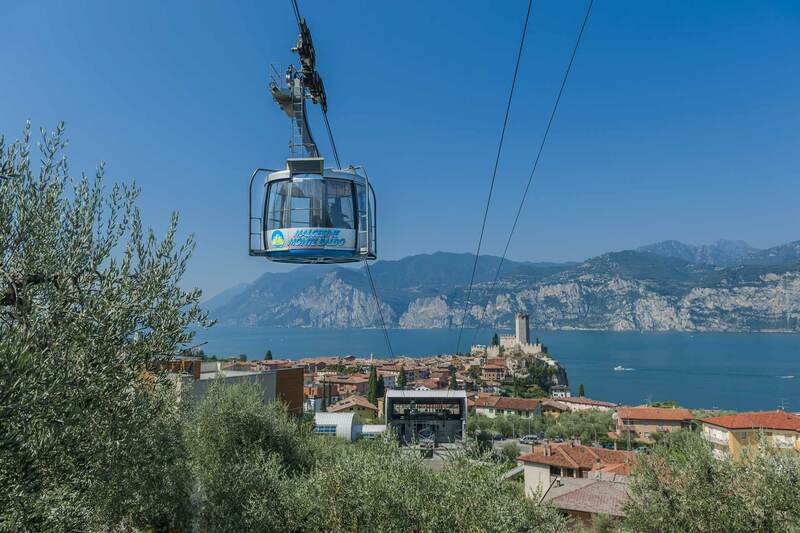 A dream landscape, one of the most fascinating views: Malcesine is situated between the changing colours of Lake Garda, which vary from the white foaming waves to an intense blue, from azure to silver and a warm gold of summer sunsets, and Monte Baldo rising wild and majestic, wooded and rocky up to over 2000 meters with its highest peaks. 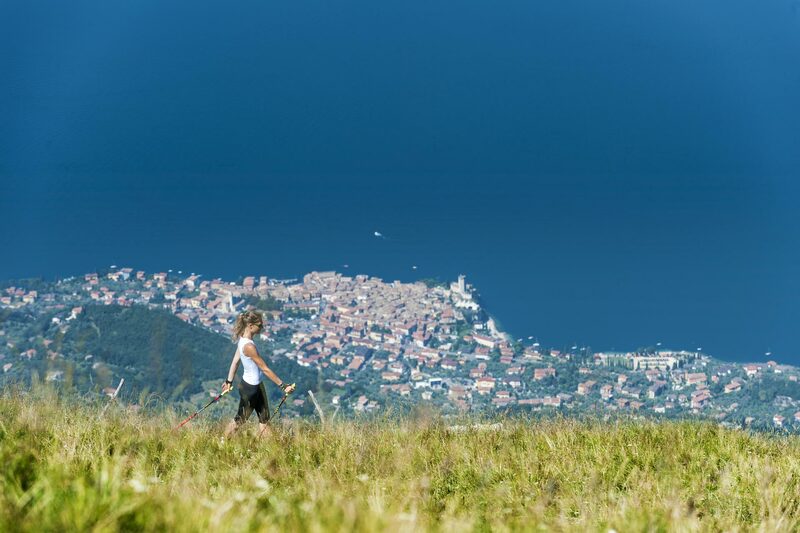 The climate is mild, supported by the lake’s beneficial influence: winter temperatures rarely fall below zero which makes thrive a luxurious mediterranean flora with olives, citrusses, palms, holm oaks, oleanders, bougainvilles, and in summer pleasant winds and not too elevated and muggy temperatures make your stay enjoyable and stimulating. The ideal place to satisfy the desires of every guest and tourist: who wants to relax may regenerate with calm walks along the lake or the in the close inland, offering enchanting views on facile streets and trails among the olives, or go for a relaxing cycle tour on comfortable bikeways, or have some swimming or travel with one of the many ferries and boats that bring you to the near Brescian shore or doing some mini-cruise. Immerse into pleasant reading, go shopping, or stroll the village and take place in one of the many coffeeshops, bars and icecream parlors to watch people passing by while having some specialty. 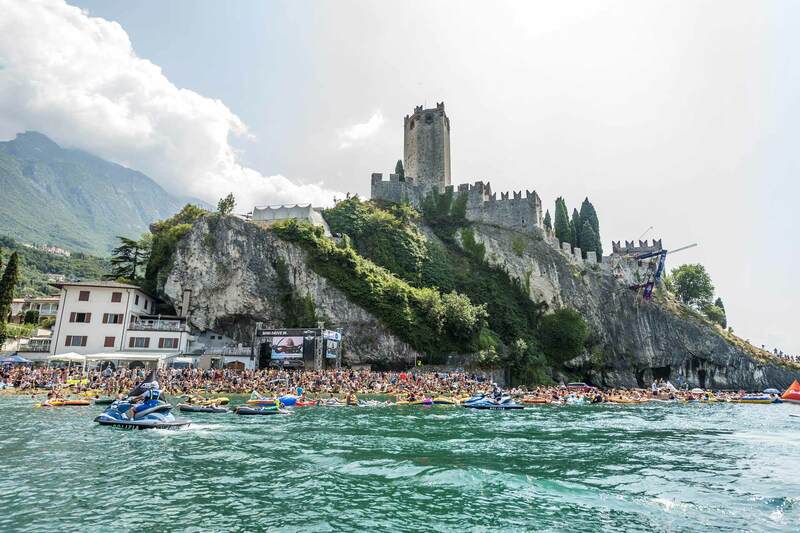 Reach Malcesine by leaving Brenner motorway at Rovereto Sud or Affi, following the indications “Lago di Garda”, or by leaving Milan-Venice motorway at Peschiera riding up the east shore of Lake Garda.